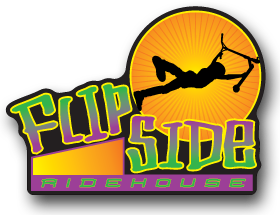 Established in 2010, Flipside Ridehouse was the first Pro scooter source in Arizona as well as the Southwest. Flipside continues to offer the largest selection of Pro Scooters and accessories plus we are the only local company to promote the sport by hosting numerous events with Pro riders and scooter manufacturers. 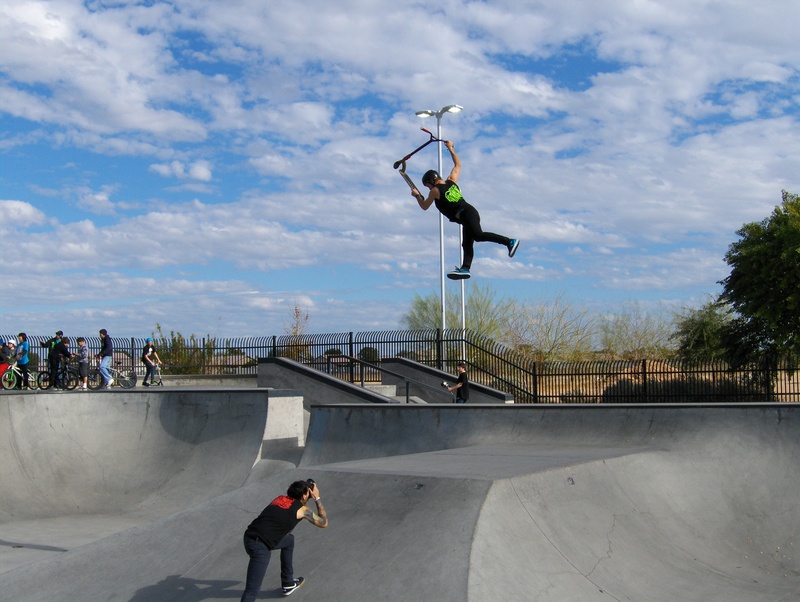 It quickly became apparent that there was also a need for a legit on-line business that would reach beyond the borders of the Grand Canyon State since so many stores would either not have product or scooter riders would end up waiting weeks or more for their parts to arrive. Unlike some of the other guys, if you can add an item to your cart then we have it in stock. Flipside prides itself on exceptional customer service and speedy order processing. We are a Christian-owned business and always use the Golden Rule with our customers - treat everyone the way we would want to be treated. We have honest prices on only the very best scooter products like Madd Gear ( MGP ), Phoenix Pro Scooters, Envy, Fasen, Proto, VertX, Tilt, Yak, Razor and many more. Many companies try to squeeze a few extra dollars out of you with shipping and handling...this is a SCAM! We only charge you what UPS and USPS charges us to ship. All of our products have a low flat rate shipping charge. If you order multiple items and our cost to ship is less than what you paid, WE WILL REFUND YOU THE DIFFERENCE. Any one else doing this? Not that I've found. Two other things I would like to point out about our shipping. 1. We have never had a shipping error...ever. Our customers receive the correct items 100% of the time. 2. Our packaging is second to none. On complete scooters we remove the scooter from the factory packaging then repackage with extra foam and bubble wrap. All parts are also individually wrapped with bubble wrap. We have never had any of our products damaged during shipping...ever. I challenge you to find another scooter company that can make this claim...just check the major message boards and forums. There is one other important detail that sets Flipside apart from all other scooter retailers...100% of our profits support my family's mission trips to Honduras to work at a children's care facility. So not only are you getting the best products and service when making a purchase from Flipside, you are also helping support a very good cause. If you would like to check out the organization we go with, it's called Christian Relief Fund.